Most newcomers to Forex marvel at the potential of being able to participate in the world’s largest business – presently valued at over $4 trillion in transaction per day! 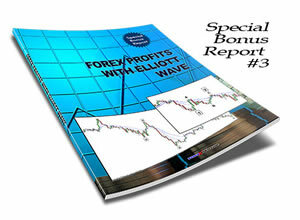 Yet the learning process required to become a Forex trader for many can be a daunting task. The lack of a structured approach to learning the foundational elements of Forex trading often leaves many traders feeling confused and lacking the confidence needed achieve trading success. To help address this, the Forexmentor team has developed a brand new video course that is designed to cut through the clutter of trading jargon and to equip you with a solid foundation for trading the Forex. 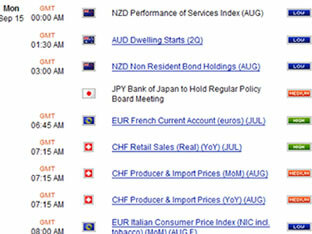 The Fast Track to Forex course is hosted by one of our leading mentors - Frank Paul. A full-time trader himself, Frank is instrumental in helping hundreds of Forexmentor members understand difficult trading concepts. 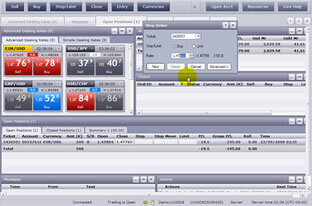 He was responsible for the hugely popular Forex Profits with MACD course and more recently SystemsLab, FXM TrendTrader and COT MarketWatch. Frank's known for presenting bewildering topics in a plain-spoken way that does not intimidate even those brand-new to the game. A logically sequenced progression through all the core concepts, clearly explained and richly illustrated, will make this not only a great way to immerse yourself in the field but also a practical reference going forward. How Currencies are Quoted (Module 1): In the Forex, all currencies are bought and sold in pairs, the first currency being the “Base”, the second the “Quote”. Learn how the relationship between the Base and Quote affects the total value of your transaction. Contract Sizing (Module 1): Contract sizing refers to the total amount of currency you wish to control to facilitate your per-order profit objective. Learn how you can maximize your profit potential for each trade by utilizing a larger number of small lots for a given level of risk. 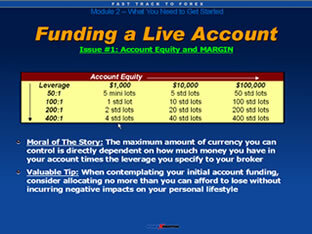 Account Equity and Margin (Module 2): The maximum amount of currency you can control is directly dependent on how much money you have in your account times the leverage you specify to your broker. Learn the ‘cardinal rule’ of risk management. Trade Readiness (Module 2): Everybody has a different learning curve – it's helpful to focus on what you need to be successful, not what somebody else needs. Learn how to create benchmarks of success to be attained in your demo account before going 'live'. Pros & Cons of the “Fundies” (Module 3): Fundamental Analysis has a useful role to play for the strategic minded trader, but it must be approached in a judicious fashion. Discover the strengths and potential pitfalls of Fundamental Analysis and how to apply it to your trading approach. Maximizing Interest Rate Differentials: The Carry Trade (Module 3): A ‘Carry Trade’ is a currency pair where there is a substantial gap in the interest rates of the two countries paired. Find out how the nuts and bolts of the Carry Trade works and how to play both sides of the market to earn interest on your trade. Overview of Technical Analysis Tools (Module 4): There are five basic categories of technical analysis indicators, each of which has slightly different uses and strengths – here you’ll find out what those are and how to put them to advantage within your own trading approach. 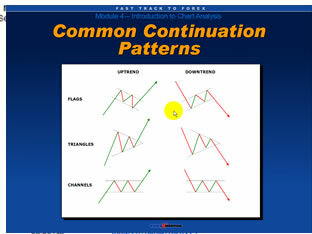 Chart Pattern Basics (Module 4): Did you know that there are two basic types of Chart Patterns – so called ‘Continuation’ patterns and ‘Reversal’ patterns? Learn about the most popular varieties of each and gain some valuable insights on how to trade them. Trading Styles Simplified (Module 5): Size of profit target, time in the trade, and per-trade risk are the three variables which define and overall trading approach. Here we discuss how those and related variables differ with respect to four common trading styles: position trading, swing trading, day trading, and scalping. Popular Trading Strategies (Module 5): Once you have a trading style that suits your personal situation, the next step is to consider one or more common trading strategies. Here we learn the setup and basic trading rules of seven of the most popular, including: Rangebound, Breakout, Trend, Pivots, Patterns, Divergence, and Elliott Wave. If all that weren't enough, Frank has agreed to 'go the extra mile' for us and offer a terrific value for first time course subscribers. Check out these amazing bonuse learning resources. Inspired by trading principles taught by Peter Bain, Frank developed this simple and very effective trading system based on a unique format of four Moving Averages (the ‘four sisters’) together with two other indicators, Stochastics and Parabolic SMI. 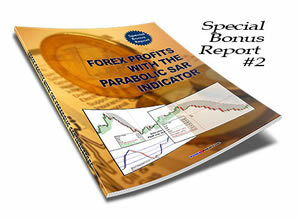 In this report Frank explains how to set up the indicators, what specific type of readings we look for within the Moving Averages, and how to identify entry and exit points on valid readings using the two supplemental indicators and pivots. A wonderfully ‘visual’ system that maximizes the old trading adage ‘buy the dips in the uptrend, sell the rallies in the downtrend. The Parabolic-SMI indicator developed by Welles Wilder (inventor of RSI and DMI) is an excellent trading tool that is not fully understood by some traders. 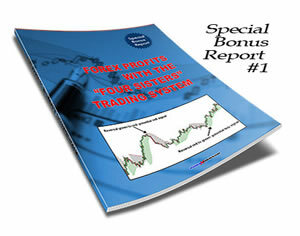 In this well explained and illustrated report Frank documents four different exciting applications for the indicator including precision entry points within validated top-down analysis, placement of the initial protective stop, placement of trailing stops to reduce risk and lock in profit as the trade progresses, and confirmation of trend. 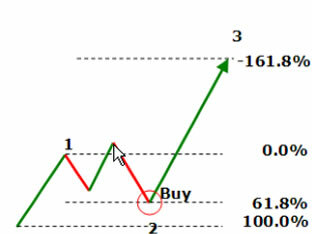 You want tight entry points with limited risk? Look no further! Elliott Wave (EW) is both a theoretical framework for understanding how the market works, as well as a practical set of tools for identifying, executing and managing high-probability trade setups. In this report Frank introduces you, by way of clear and simple language free of technical jargon, to some of the most important concepts of EW theory and provides a simple program of study that will get you up and running with wave counts, Fibonacci retracements, and pretty much all the basics you’ll need to become a full-fledged Elliott-ician. Get the entire course in MP3 format (Audio only). Listen to the entire course from the convenience of your car or when you are on the road.. You can also store the course on your MP3 player. NOTE: This bonus is only available with the DVD version of the course. The Fast Track to Forex Video course is truly a fantastic resource that's an absolute must have for all Forex traders. If you are familiar with Frank's other products, you already know that he delivers the best education value to our members. I urge you to take advantage of the introductory offer now and save. 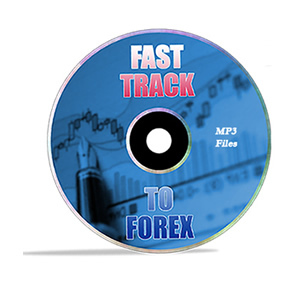 ORDER THE 6-HOUR "FAST TRACK TO FOREX" VIDEO COURSE AT AN UNBELIEVABLE PRICE! 13. What's Your Trading Style? 4. Pros & Cons of the "Fundies"
11. How the Carry Trade Works? Frank Paul began his Forex career in 2004. In 2007, he joined the Forexmentor team, authoring a number of our most popular and enduring online and DVD training resources including FXM Trend Trader, Trendline Mastery, Learn Forex Now!, Fast Track to Forex, Forex Profits with MACD, FX SystemsLab Monthly, and more. Frank’s underlying philosophy of Forex trading success is to trade only in the direction of a strong trending market, buying at or close to corrective tops or bottoms for high Reward/Risk performance. Prior to his career in the Forex industry, Frank spent a total of 16 years in a number of marketing and operations roles primarily in management consulting and online commerce. Frank possesses an MBA degree from the University of British Columbia, as well as a Bachelor of Arts degree. He lives with his wife and two young children in Vancouver, Canada. Favorite pastimes include mountain biking, skiing, swimming, literature, film, and music. “First of all, I want to thank you for what you've taught me to date. I've been following you enthusiastically for months now, and I'm very impressed with your knowledge and professionalism.” -Ruth M.
“Hi Frank, I just really wana thank to you the way you people help us is amazing. I have no words to thank you. The Best thing I like about you and your teaching is you just simplify everything. You make everything very much simple and cleared this is your best quality I like.” -Hafiz A. “Good morning sir and happy new year. Just to say a big thank you for Saturday's video, it make trading simple and effortless. God will continue to bless you with more wisdom and am very happy with the way you move the candles forward in explaining how price unfold. It's very educating and it's a privilege to know you. Am planning to start my trading back this year but I just can't stop keeping up with ur weekly videos, there is nothing like it. Thanks again.” -Toyin G.